Dimensional Letters Enhance Your Business! Are you looking for a great way to capture attention and inspire customers to seek you out? Show the world your unique logo, get additional name recognition, and direct people to your business with these custom-made signage options. Install them directly to your building outside, or enhance your indoor spaces for some aesthetic appeal. Dimensional letters come in a variety of materials, shapes, and sizes in order to make a distinct impression about your unique business. Choose from our durable and long-lasting options. If you need a signage solution for the exterior of your building, a monument, stadium, or other structure, dimensional letters are some of the most cost-effective options! You can also use them very efficiently as directory signs to point people in your direction. Whatever you signage needs are, we have the best quality materials and services in the area! We love being inspired by your business and putting our creativity to work, just for you! Let us help you revamp your current signage and present your latest image to the world. Call today to order dimensional letters! Page Summary: Wisconsin Sign & Graphics offers 3d lettering, 3d signs, 3 dimensional letters and 3d sign. Products & services such as 3d signage, dimensional signs, dimensional lettering as well as dimensional signage are also part of the scope of our business. 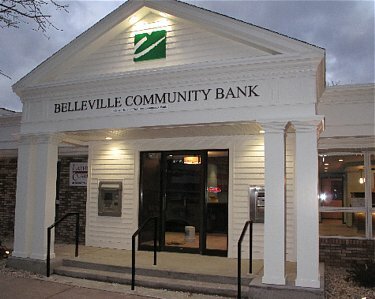 We also specialize in dimensional sign, dimensional letters in Stoughton, Monroe, Milton as well as Madison. Other areas we serve include Verona, Oregon, Mc Farland and Middleton. We also service Janesville, Edgerton and beyond.